We are almost near the end of our 33rd Vancouver International Film Festival and like previous years, VIFF will be bringing back a selection of festival favorites for one more screening. 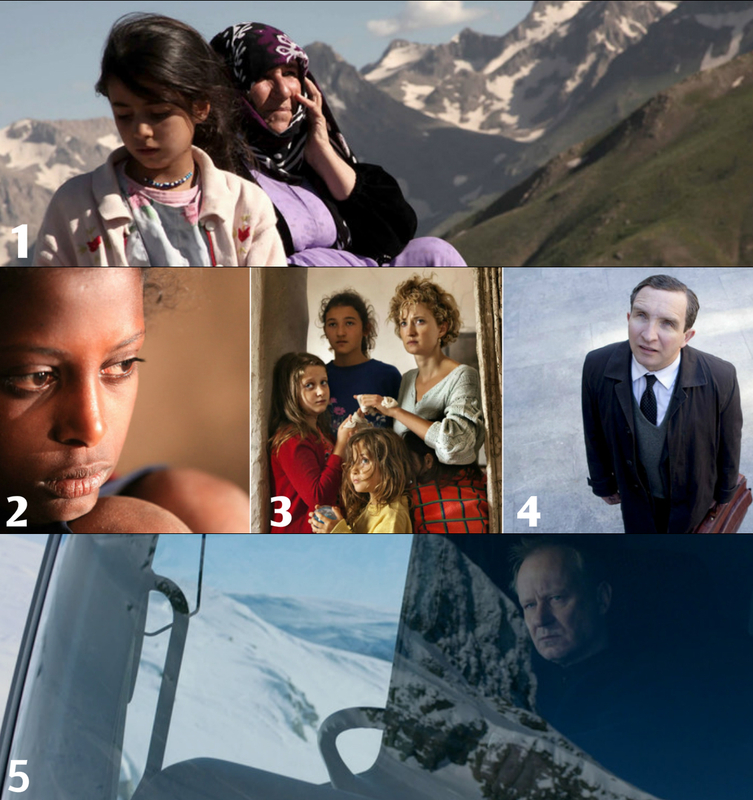 See which 25 films are selected and get your tickets today! 1. Everything Will Be (Documentary, playing Sat Oct. 11th, 11:30AM) TRAILER/TICKETS. 2. Violent (Drama, playing Sun Oct. 12th, 8:30PM) TRAILER/TICKETS. 3. Black Fly (Thriller, playing Sun Oct. 12th, 4:00PM) TRAILER/TICKETS. 4. Sitting on the Edge of Marlene (Drama, playing Sun Oct. 12th, 1:30PM) TRAILER/TICKETS. 5. Pristine Coast (Documentary, playing Sun Oct. 12th, 11:30PM) TRAILER/TICKETS. 6. Just Eat It (Documentary, playing Sun Oct. 12th, 2:00PM) TRAILER/TICKETS. 1. Come to My Voice (Sat, Oct 11th. 2:00PM) TRAILER/TICKETS. 2. Difret (Sat, Oct 11th. 1:45PM) TRAILER/TICKETS. 3. The Wonders (Sat, Oct 11th. 4:00PM) TRAILER/TICKETS. 4. Still Life (Sun, Oct 12th, 6:30PM) TRAILER/TICKETS. 5. In Order of Disappearance (Sun, Oct 12th. 4:00PM) TRAILER/TICKETS. 1. Housebound (Sat, Oct 11th. 9:00PM) TRAILER/TICKETS. 2. To Kill A Man (Sun, Oct 12th. 6:30PM) TRAILER/TICKETS. 3. Fish & Cat (Sun, Oct 12th. 8:15PM) TRAILER/TICKETS. 1. Listen Up Philip (Sat, Oct 11th. 4:00PM) TRAILER/TICKETS. 2. God Help the Girl (Sat, Oct 11th. 8:15 PM) TRAILER/TICKETS. 3. Miss and the Doctors (Sat, Oct 11th. 4:15PM) TRAILER/TICKETS. 4. Wild Tales (Sat, Oct 11th, 11:15PM) TRAILERS/TICKETS. 1. Faith Connections (Sun, Oct 12th. 2:45PM) TRAILER/TICKETS. 2. Art and Craft (Mon, Oct 13th. 8:15PM) TRAILER/TICKETS. 3. Advanced Style (Sat, Oct 11th. 6:30 PM) TRAILER/TICKETS. 4. Handmade with Love In France (Sun, Oct 12th. 4:45PM) TRAILER/TICKETS. 5. Jalanan (Sun, Oct 12th. 4:00PM) TRAILER/TICKETS. 6. Walking Under Water (Sun, Oct 12th. 2:15PM) TRAILER/TICKETS. 7. In Search of Chopin (Sun, Oct 12th. 11:00 PM) TRAILER/TICKETS. 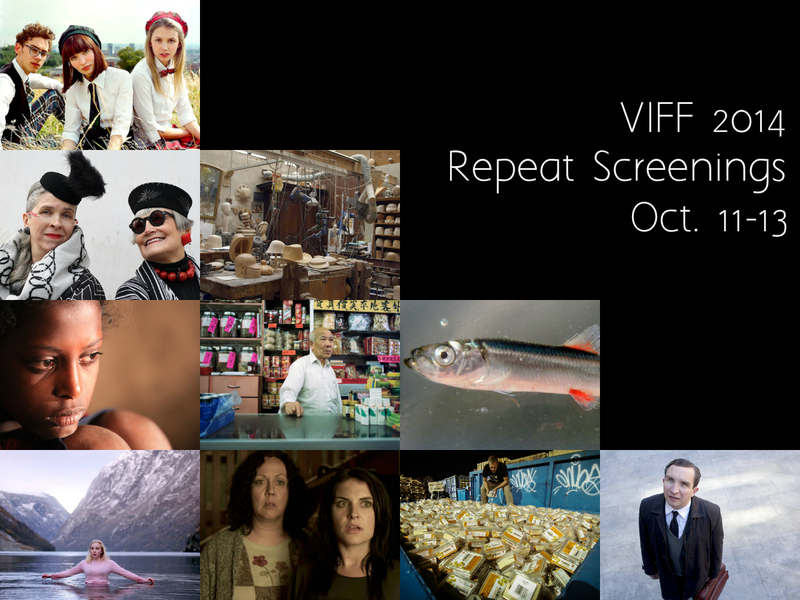 Tags: #mustseeBC, BC Spotlight, repeat screenings, viff, viffest. Bookmark the permalink.